Man sentenced for harassing PCC Jump to media player The online campaign started when Matthew Taylor unsuccessfully ran to be crime commissioner. 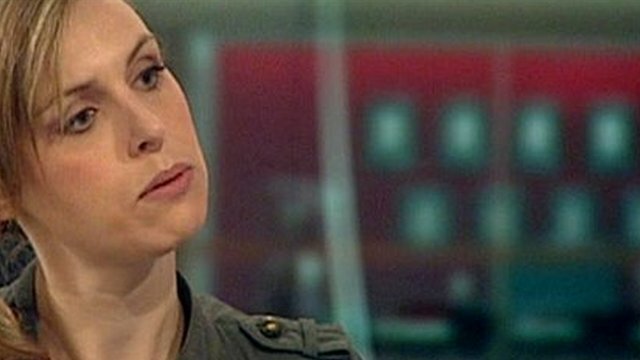 'My stalker had 13 other victims' Jump to media player Zoe Dronfield is campaigning for a national register of serial stalkers to help flag offenders to police. Victim records stalker's attacks Jump to media player Panorama meets a woman who documented two years of stalking and threats by her ex-boyfriend that eventually forced her into hiding. Labour councillor: 'Stalker harassed me' Jump to media player A Labour councillor has told BBC Radio 5 live how a 'stalker' was imprisoned for harassing her with personal letters. Murdered by her stalker Jump to media player Are the police failing to keep victims safe? How a cyber stalker was tracked down Jump to media player A woman who endured five years of online stalking has described how she finally tracked down her abuser. Elle said the police did not know how to deal with what she described as an ''evolving'' crime. A man who spent years harassing Sussex's police and crime commissioner online has been sentenced for defying an injunction to stop his campaign. Katy Bourne said Matthew Taylor started publishing lies and harassment when he unsuccessfully ran against her for the PCC role, in 2011. In hundreds of online blog posts submitted as part of her evidence, his claims included she was a "prostitute", a "nasty Nazi party sympathiser" and the "biggest drug dealer in Sussex". His Honour Judge Saggerson, sitting at the County Court in Central London, said there had been plenty of time for Taylor to remove the material since the April 2017 order and there had also been "further breaches". He sentenced him to four years in prison - with one month remitted if he removes the online material - suspended for two years.